Money is at the root of our social and economic crisis. 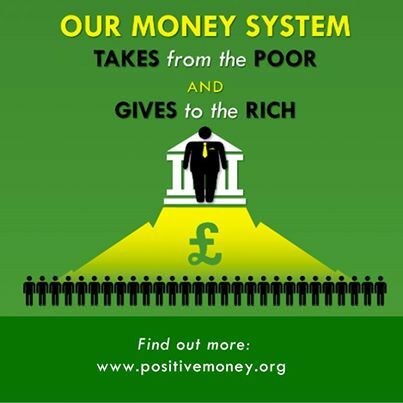 A debt-based monetary system that gives private banks the power to create money from nothing. Then millions of ordinary people suffer when money and finance systems breaks down.